Only a quarter inch in size, the spruce-fir moss spider is one of the smallest tarantulas in the world. It ranges from light brown to a darker reddish-brown in color, with a yellowish-brown carapace. The spruce-fir moss spider lives in high-elevation forests of Fraser fir and red spruce. It’s found on moss mats growing on well-shaded rocks, which must be the perfect level of damp — not too dry and not too wet. It creates tube-shaped webs that connect to the moss and rock surfaces. When the spruce-fir moss spider was listed as endangered in 1995, there were only five known populations on three mountain ranges in western North Carolina and eastern Tennessee. 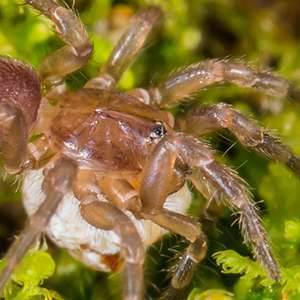 By 2009, the spider was found on 22 mountaintops along six mountain ranges. Air pollution and the balsam wooly adelgid, an exotic insect pest, have damaged and in some cases destroyed the high-elevation forests that the spruce-fir moss spider relies on. 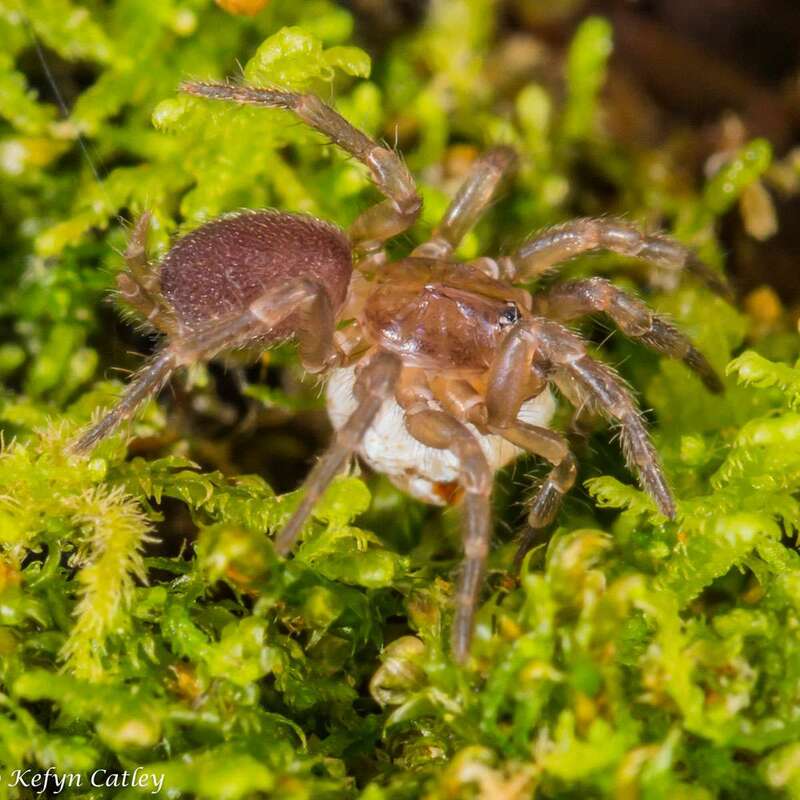 Changes in forest climate and moisture have limited available habitat and the spider’s low population numbers increase its vulnerability to other threats. Researchers are attempting to protect the spruce-fir moss spider and determine effective ways to grow its population by better understanding its life history and habitat needs. The ultimate recovery goal is to have six distinct viable populations within the spider’s historic range.